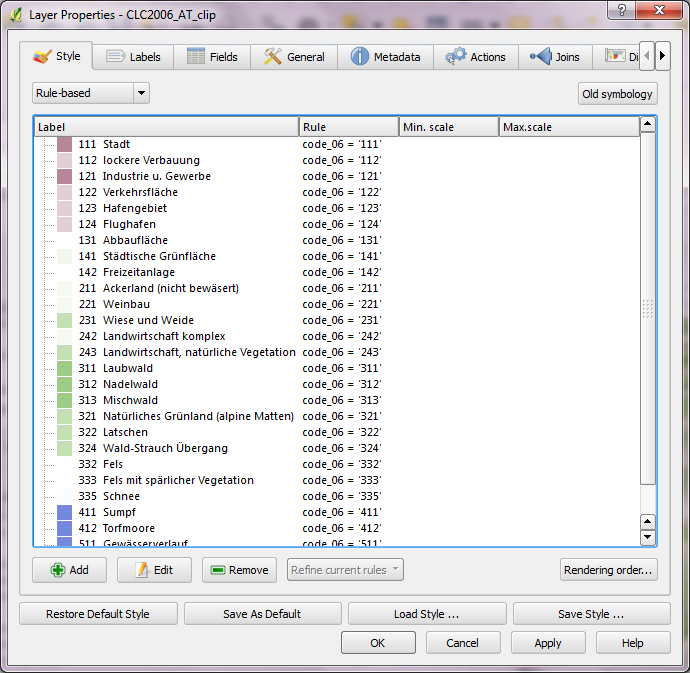 Corine Land Cover is a European program to create a land cover inventory of Europe. The data is freely available and a valuable input for many analyses. In this post, we’ll be using it to create a physical map. On top of the land cover, I added a river dataset and styled it with the same color used for water surfaces in the Corine layer. Obviously, this is an optional step. 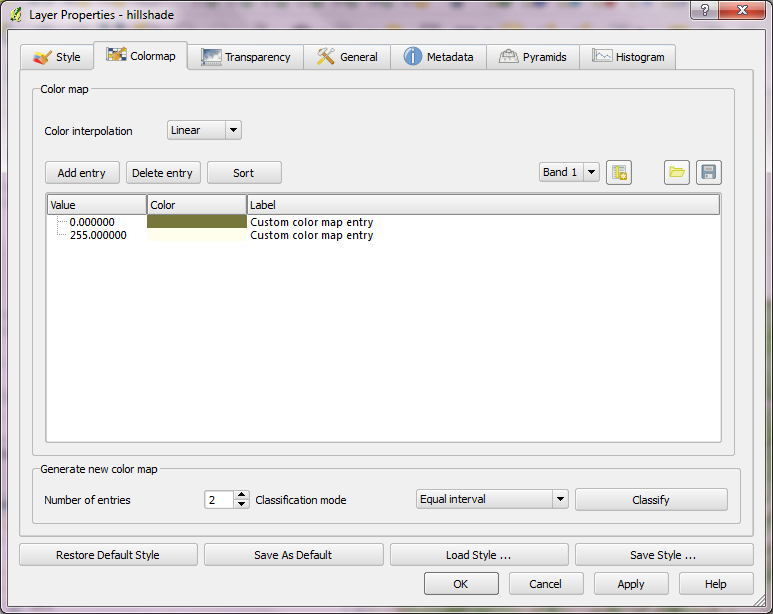 Big rivers are visible within the land cover data too. After adding a mask and labels, the map is ready to add the finishing touches in Print Composer: Title, explanatory text and a scale bar. I decided against adding a legend to this particular map since I hope that the color choices are intuitive enough. If you want to create your own physical map, you can use Corine Land Cover for European regions or the National Vegetation Classification in the U.S. 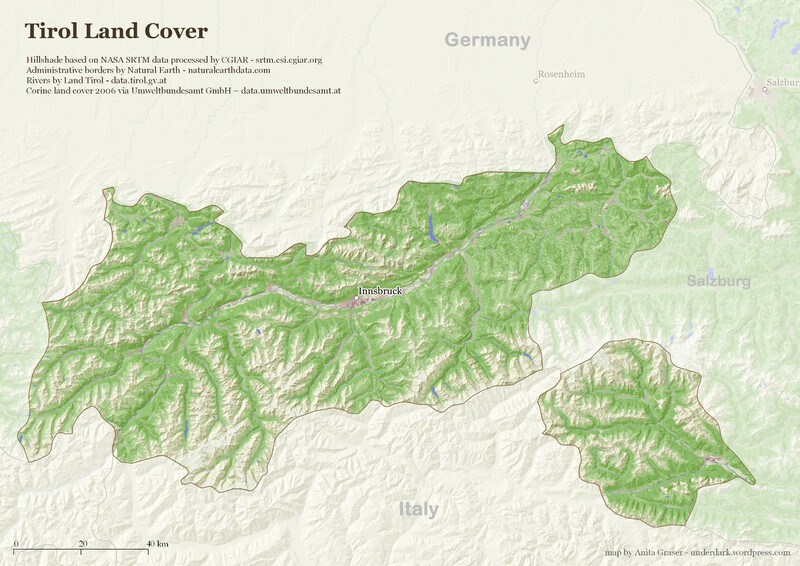 Combining a land cover map with a hill-shade map make for great looking map, and this is a very nice example. To make it easier to distinguish / recognize the different land cover classes on the map more contrasting colors might work better (but as you did not add a legend, that might not have been your main purpose anyway). Thanks! I’ll keep GlobCover in mind. Might be a good resource for mapping bigger countries. What a beautiful map Anita! Love the colours – they blend perfectly. Keep up the great informative posts! heyho, i was just trying to reproduce your colour style which if find quite appealing and soft. What colors (RGB) did you use for colouring the hill shade? 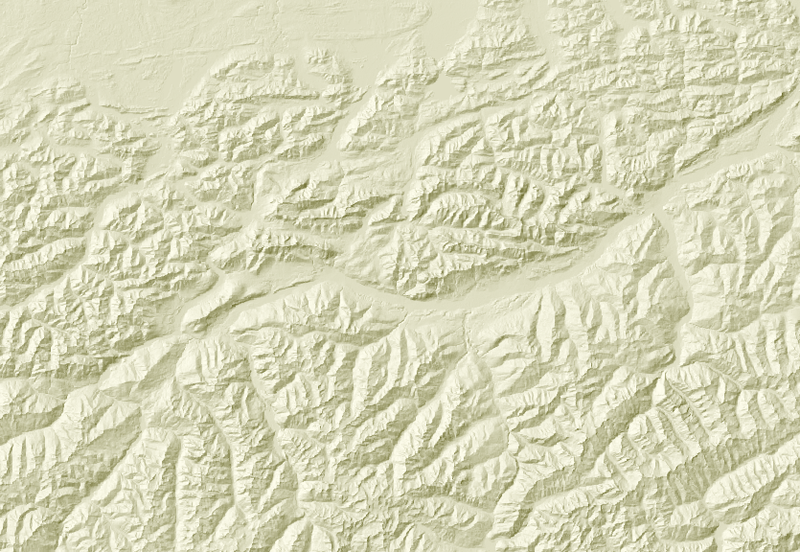 The hillshade is styled using 0 = RGB(119,119,59) and 255 = RGB(255,254,237). How do change the colorstyle of the hillshade. When I try it the the colormap-tap is unabled. Sorry, just figured it out. Thanks for all your tutorials, helped a lot!